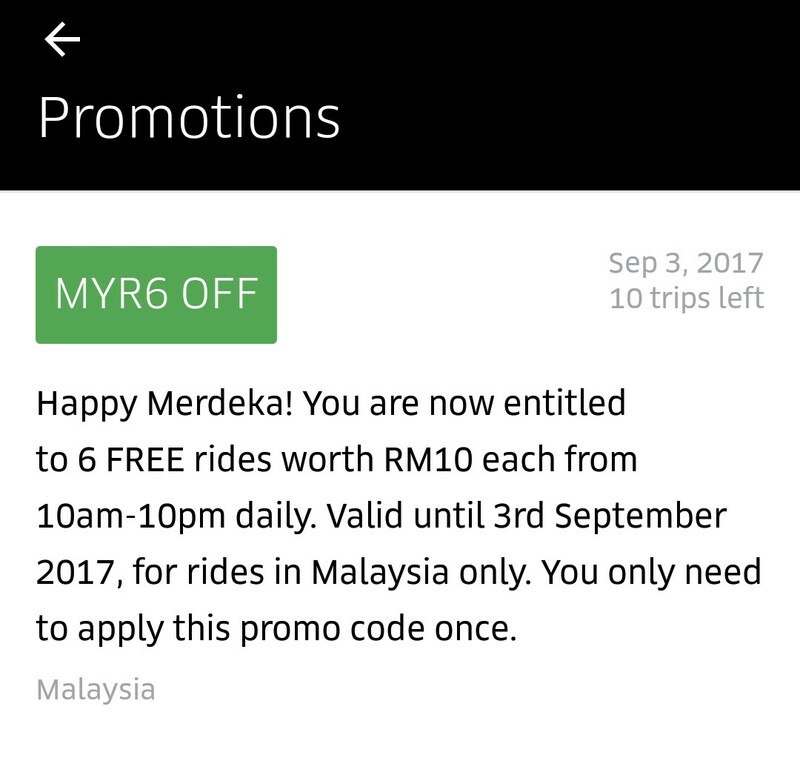 Celebrate Merdeka with RM60 worth of free rides. To celebrate Merdeka, we're giving you RM60 worth of free rides for you to ride around town for the next 3 weeks. All you have to do is tap the link below to apply the Uber promo code! Valid for rides in Malaysia from now till 3 September 2017, from 10am - 10pm. There will be limited applies to the Uber promo code. Happy Merdeka! You are now entitled to 10 rides worth RM6 each from 10AM - 10PM daily. 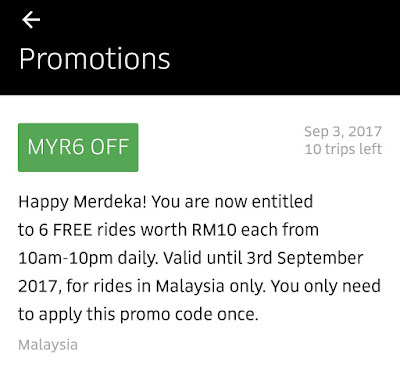 Valid until 3rd September 2017, for rides in Malaysia only. You only need to apply this Uber promo code once.